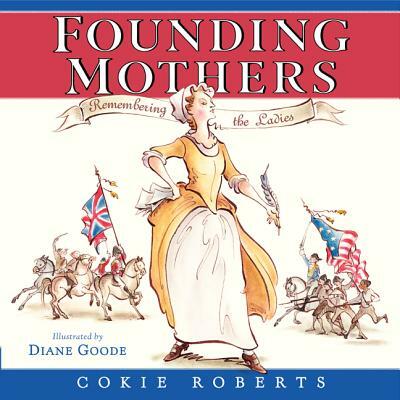 #1 New York Times bestselling author and celebrated journalist Cokie Roberts brings young readers a stunning nonfiction picture book that highlights the female patriots of the American Revolution. Beautifully illustrated by Caldecott Honor–winning artist Diane Goode, Founding Mothers: Remembering the Ladies reveals the incredible accomplishments of the women who orchestrated the American Revolution behind the scenes. This compelling book, based on the author's acclaimed work for adults, Founding Mothers, includes a rich time line, biographies, an author’s note, and additional web resources in the back matter. Parents and educators looking for a more in-depth book beyond the Rosie Revere and Rad Women series will welcome Founding Mothers. Cokie Roberts is a political commentator for ABC News and NPR. She has won countless awards and in 2008 was named a “Living Legend” by the Library of Congress. She is the author of the New York Times bestsellers We Are Our Mothers’ Daughters, Founding Mothers, Ladies of Liberty, and, with her husband, the journalist Steven V. Roberts, From This Day Forward and Our Haggadah. Diane Goode is the illustrator of more than fifty beloved and critically acclaimed picture books, including the Caldecott Honor Book When I Was Young in the Mountains by Cynthia Rylant. Inspired by the handwritten letters of the Founding Mothers, she begins with their quill and sepia handwriting and spins out the line to re-create their images and the remarkable events of their lives for a new generation of young readers.